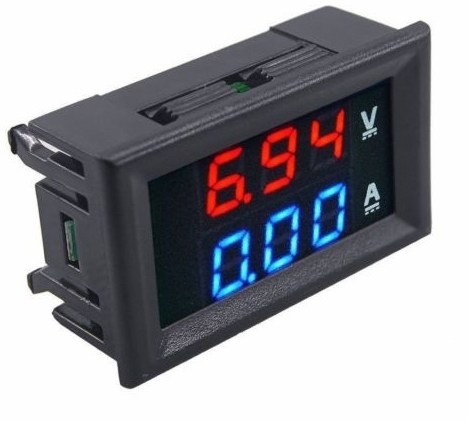 The Digital Volt Ampere Meter has 5 wires. 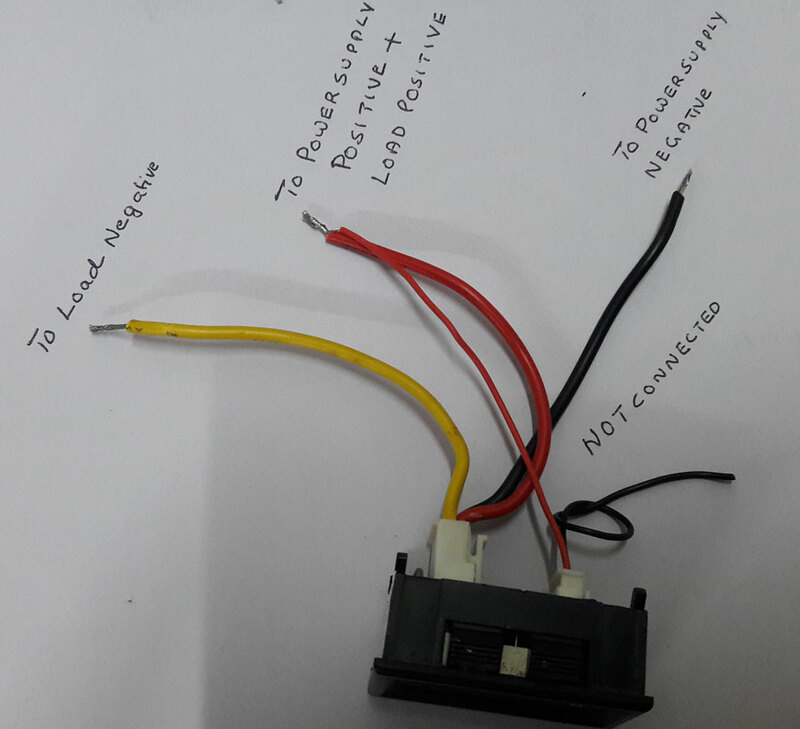 The thin black wire is not used in most case if the meter is connected to Charger. 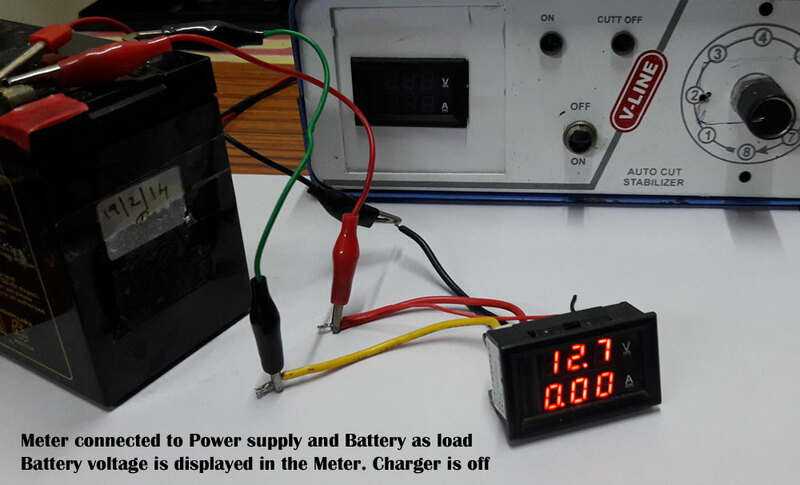 It is used to power the meter separately using battery or power supply to make it as Volt / Ampere meter tester. 3. Red thick wire – This is for current measurement. Connected to Positive of Charger and Positive of load (Battery). 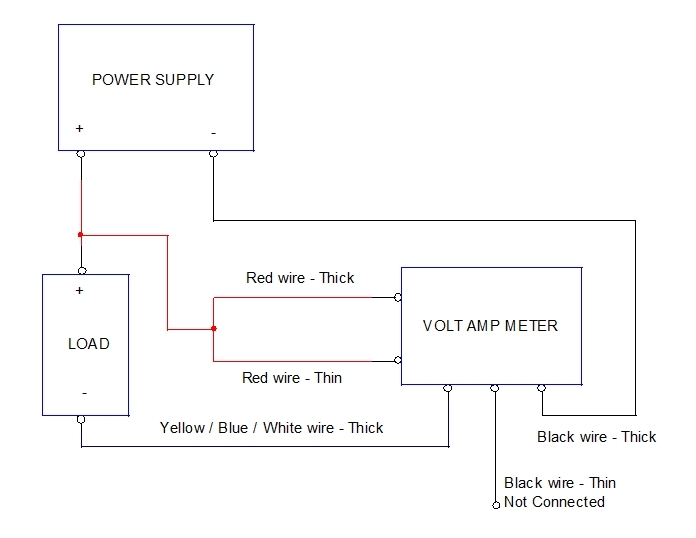 The Red thin wire of meter can be connected to it to power the meter from same power source (charger). 4. Black thick wire – It is connected to the Negative of Charger. 5. Yellow / Blue / White thick wire – Connected to the Negative of battery. Connect Red thick wire and Red thin wire together and connect it to the Positive of Charger. Connect Yellow / Blue / White thick wire to wire that is going to the Negative of Battery. 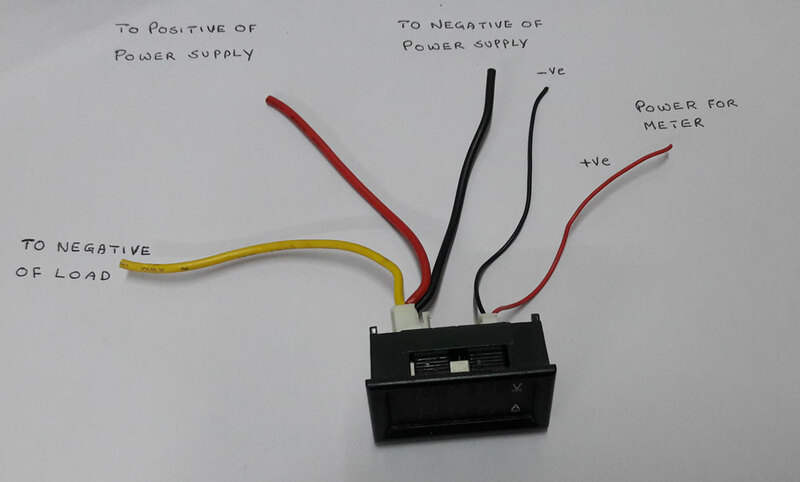 That means, Positive of charger ( with Red thick and Red thin wires of Meter ) is directly going to the Positive of battery but the Negative of charger first goes to the Meter through Black thick wire and then going to the Negative of battery through Yellow thick wire. Crocodile clips are used to connect the charger with the battery. So connect 2 meter 1 mm Red electrical wire to one clip. Connect charger positive to it. Connect 2 meter 1mm Black electrical wire to the other clip. Connect the Yellow / Blue / White thick wire of meter to it. 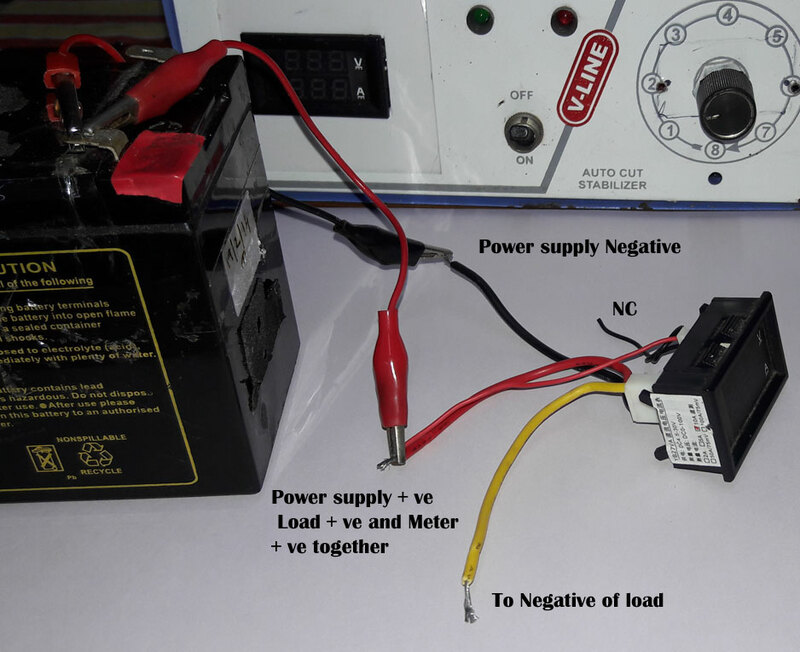 Connect the Negative of charger to the Black thick wire of Meter. 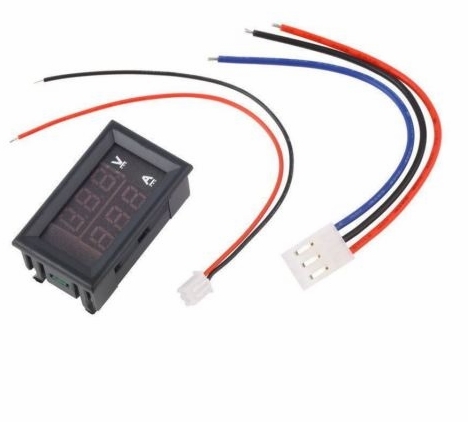 After connecting the Crocodile clips to the battery, Meter will display the voltage present in the Battery at that time. 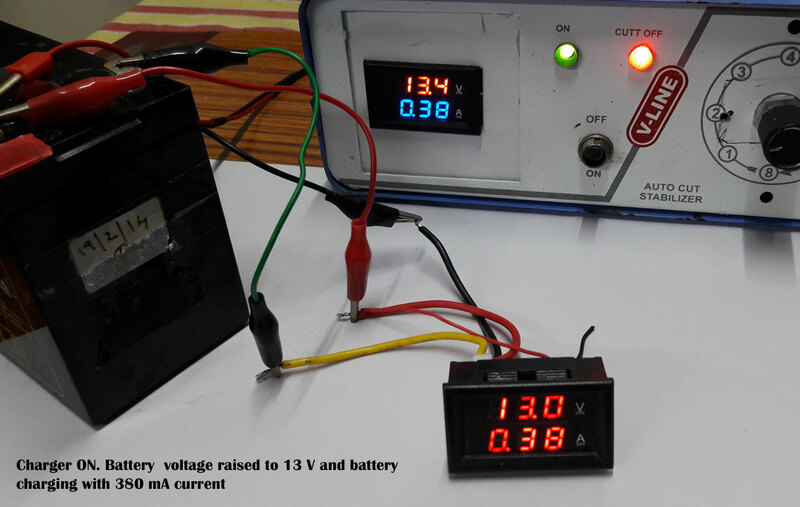 So a simple Volt meter to measure battery voltage. Switch on the charger. Volt meter will show the rise in battery voltage due to charging. Ampere meter will display the current used for charging. The reading is high if the battery is fully discharged. As the charging progresses, the current reading drops and finally it becomes Zero when the battery is fully charged. So we can stop charging at that time.